DY-WRC wind force road cleaner is used to completely clean remaining sandstones and dust before marking road lines, to improve the road marking construction quality & working efficiency. 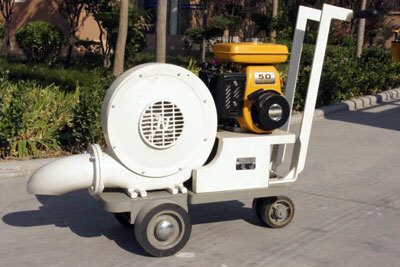 High rotated speed, large wind power can absolutely clean the pavement. The construction quality will be greatly declined if the remaining sandstones and dust are not completely cleaned before the road marking construction or other road surface construction. 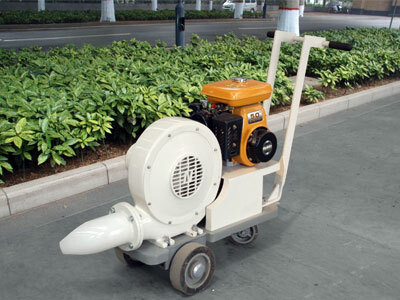 The traditional cleaning methods need more manpower and have disadvantages of poor cleaning effect, high cost and low efficiency of the construction. 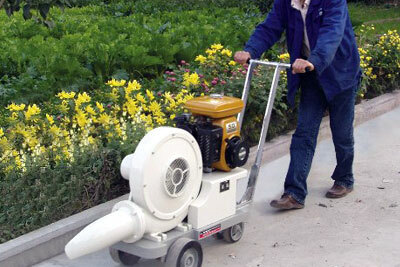 The successful development of wind-force road cleaner has completely solved the above problems. The gyrate outer shell which is made of aluminum alloy by refined casting has the advantages such as light weight, good pressure resistance and good wind collection. 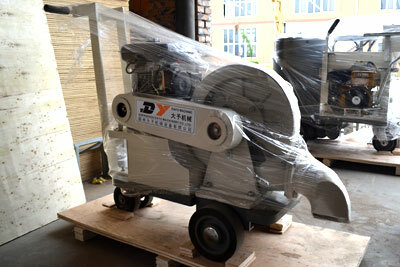 High rotated speed, large wind power can absolutely clean dust, loose gravel, effectually improve marking quality and working efficiency.